The Accelerance team went to Warsaw, Krakow and Gliwice to meet top software development companies in Poland. Why not add a stop to Tatooine for some Jedi virtual reality? One of the companies we met is using gaming technology to develop virtual reality systems that train bus drivers new routes. Our team got an impressive demo while we were there. Customers from across the U.S. will find iOS / Android mobile development, front-end developers skilled in Python, Ruby on Rails and Java, and plenty of backend database expertise. The companies we visited impressed us with their technical expertise in virtual reality, healthcare systems and ecommerce. We found strengths in banking, retail, ecommerce and impressive emerging technologies for the medical industry. 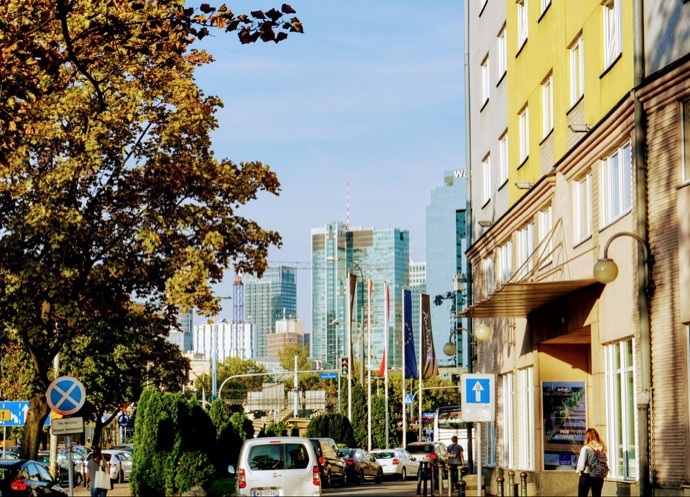 Like all Accelerance Certified Partners, the companies we visited in Poland place an emphasis on recruiting top talent and creating an internal development culture that attracts developers. One impressive software company in Warsaw builds their workforce with distributed teams and chooses to “go where the talent is”. This means they create multiple offices rather than requiring everyone to work out of the same location. The final step in the Accelerance certification process is to travel for an onsite visit. During our visit, we collect video interviews with key leaders, tour facilities and meet the teams you’ll be working with. But don’t let the historic art and grand architecture of Poland fool you into think Poland’s not advanced. When it comes to software development, Poland is an outstanding, modern software outsourcing destination. The 2018 Guide to Software Outsourcing in Eastern Europe provides up-to-date insights for companies considering Eastern Europe as an outsourcing destination.